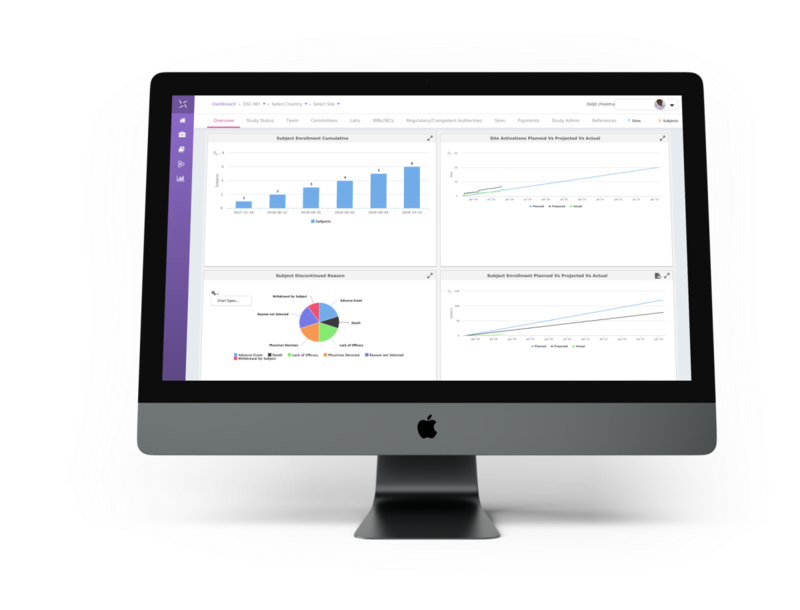 An innovative clinical trials management system from the Engility platform enables enterprise control. Engility CTMS is a SaaS (software-as-a-service) cloud platform built with agility at its core and engineered to evolve. The platform is designed to rapidly deliver new product updates within a managed validation framework facilitating accelerated innovation. Traditional challenges of poor usability, legacy applications, lengthy implementation cycles, slow innovation and costly maintenance have been overcome by our creative use of agile flow-based engineering practices. Whether you are running a few or hundreds of trials, Engility CTMS can support your needs and your particular clinical trial sourcing model. Let Engility CTMS be your first step towards unified trial governance. Engility CTMS is used by biopharmaceutical and medical device organisations to manage and govern clinical trials. Information tracked includes study design, institutions, investigators, IRB/IEC’s, study teams, recruitment milestones and investigator payments. Engility CTMS is flexible and scalable in order to meet the needs of all organisations. Its usability increases adoption and oversight whilst reducing the training burden and enabling data driven decision-making. With Engility CTMS, connecting suppliers and partners is easy and integrating with other eClinical applications is simplified through REST based interfaces. Moreover, as a modern cloud-based internet application, customers benefit from rapid deployment with a platform managed by PHARMASEAL allowing you to focus on the control and execution of your clinical trials.